The Apothecary Arboretum was designed and built by the artist gardener Dimitri Launder with a group of students of Camberwell College of Arts in London. 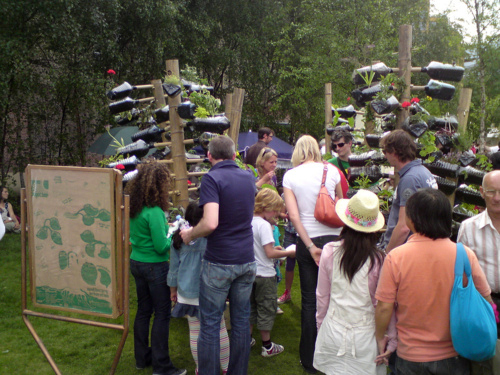 The aim was to create a garden both medicinal and edible, in a concrete neighbourhood. His latest project was to create a living eco-system of vertical, functional, agricultural, apothecary sculpture: prototype 1.0. 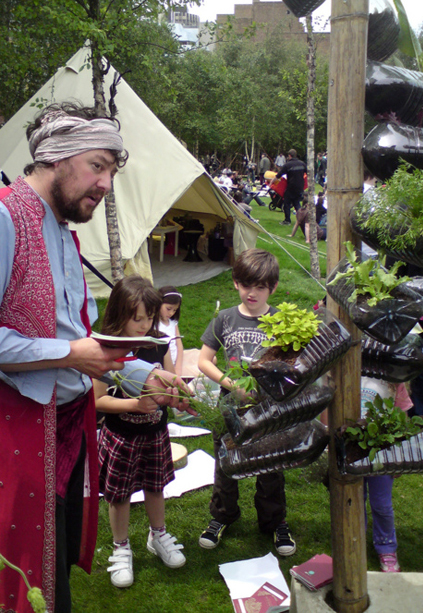 Using recycled materials to harvest rainwater and incubate plants that are grown from bio-diverse seed stock and foraged herbal and medicinal plant seed sourced from waste lands in London. This Free Farm explores the plants around us in the hope that it makes people think about their relationship with nature. Planting Propaganda for a public planting transformation; planting on rooftops, in and on buildings, to reclaim and illustrate sustainable solutions. An edible and medicinal garden. Owen Hodgkinson, Emma Payne, Ella Perkins, Tom Davies, Ian Daniell, Chloe Carson, Daniel Dutton. Audiences of 500 over 3 days. 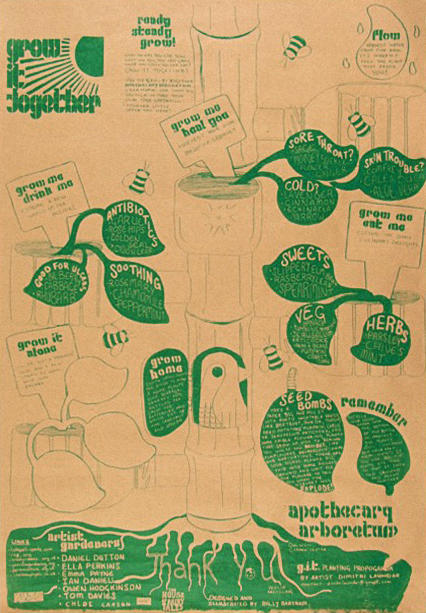 Artist Gardeners, Dimitri Launder with a fruity thanks to the Grow It Together.